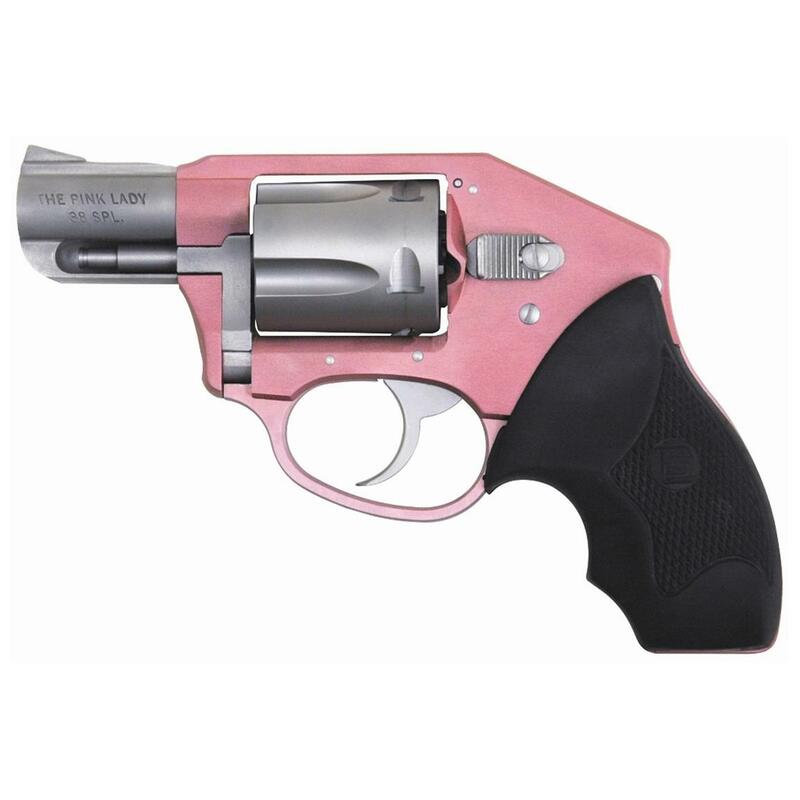 Charter Arms® Pink Lady Off Duty .38 Special Snubnose Revolver. When wearing a holstered pistol isn't an option, think pink. Sometimes, you gotta carry in "stealth mode." In such times, concealment can be a challenge but not with the Off Duty. This enclosed-hammer double-action Revolver is ideal for tucking in a waistband, under a shirt or in a pocket because the enclosed hammer will never snag on clothing at absolutely the wrong time. Constructed of heat-treated aluminum and steel, this 5-shot .38 Special with a 2" barrel weighs in at only 12 ozs.! So comfortable to carry that you'll never leave home without it. Backed by Charter®'s lifetime warranty. The ultimate in concealed-carry excellence. Charter Arms Pink Lady Off Duty, Revolver, .38 Special, 53851, 678958538519 is rated 5.0 out of 5 by 2. Rated 5 out of 5 by Kasey from Good Product Weapon arrived and was in very good shape. Rated 5 out of 5 by raymonds53 from Great The packaged arrived with no problem. Everyone was notified about it with no problems.I have shot many 38's that were heavy and build in ways that make it no fun to own. I brought this for my wife and now wish had one. So lite and well made.